Could we have both a new iPhone and iPad this year? A new report says suppliers are gearing up to help Apple produce millions of both for an October release. Citing component industry sources, DigiTimes says a number of Taiwan-based companies that supply Apple with parts for its gadgets have "begun to prepare materials" for the two iOS devices, with production slated to start in September. DigiTimes is scant on iPad 3 details, besides noting that Apple is going with a version that's "even thinner and lighter" as well as sporting a 250 pixels-per-inch (ppi) display. That would put it lower than the iPhone 4's so-called Retina Display, which sits at 326ppi. The 50ppi difference could go against Apple CEO Steve Jobs' original claims when introducing the iPhone 4 at WWDC last year; then, he put the "magic number" at about 300ppi. Even so, it's nearly double the pixel density count of the existing iPad model, which could benefit text and photo clarity. That Apple's working on a follow-up to the iPad 2 is not much of a surprise. A similar report from DigiTimes earlier this month said Apple was in the process of selecting the parts that would go into it. 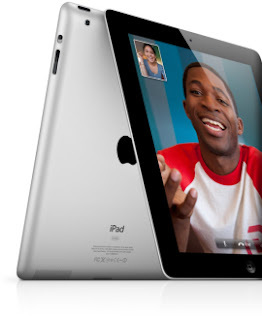 However, Apple introducing a third iPad model within eight months of debuting the last version would be highly unusual. Even the iPod, which has been one of Apple's most frequently updated gadgets, has long stayed on an annual cycle that may only vary by a few weeks to a month. Along with the iPad 3 tidbits, DigiTimes puts the kibosh on rumors that Apple is scraping together two models of the iPhone. That rumor's been kicking around for years, though it's become more high profile after numerous reports of Apple releasing an incremental upgrade to the existing iPhone 4 model. This week marked the four-year anniversary of Apple's original iPhone going on sale. The iPhone 4, which remains the most recent model, went on sale more than a year ago on June 24, 2010.